Hello and welcome to the 12th installment of the SWD. There were some premature reports yesterday that TFSA took control of Tadef, situation is still a bit murky with conflicting reports about the town, some claiming it was captured and others denying it. A day after IS withdrew from Al-Bab, region around it is hit with 2 SVBIEDs, first one was more devastating catching everyone off guard and causing up to 60 casualties, the 2nd attack claimed at least 10 victims. First attack also apparently killed 2 Turkish soldiers and injured 3 more. 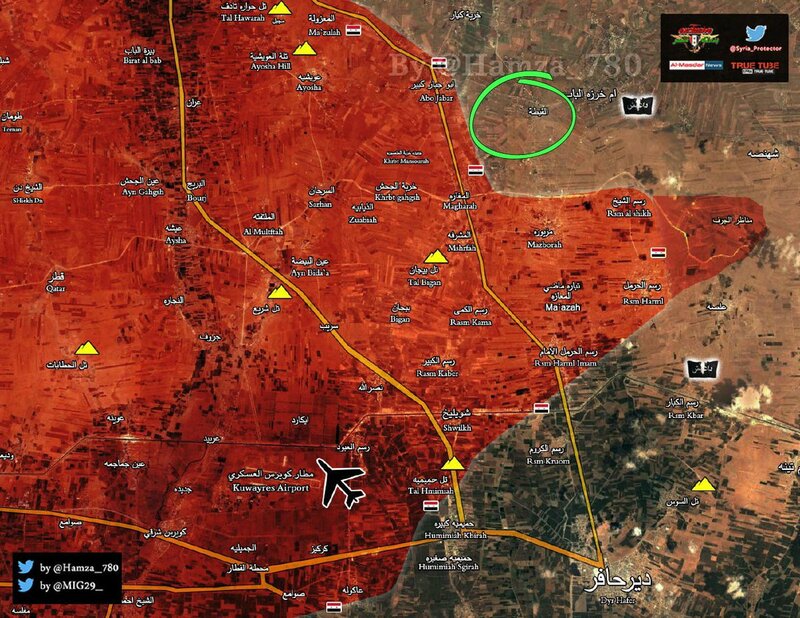 SAA Tiger Forces captured 2 more villages from IS during their latest push, with clashes around Abu Jabbar Kabir, captured villages are Manazer al-Jaraf and Al-Qetih. SDF took a handful of villages on Abo al-Khashab front, including the aforementioned village, other captured include; Fanan Sharqi, Bardan Gharbi, Tell Zahmaq and Tyus. MIlitary operations resume in western Mosul with Iraqi army officially declaring full control over Al-Ghazlani military camp. Clashes were reported in Al-Mamun district in southwestern Mosul, there is a chance that Iraqi army controls parts of the district. 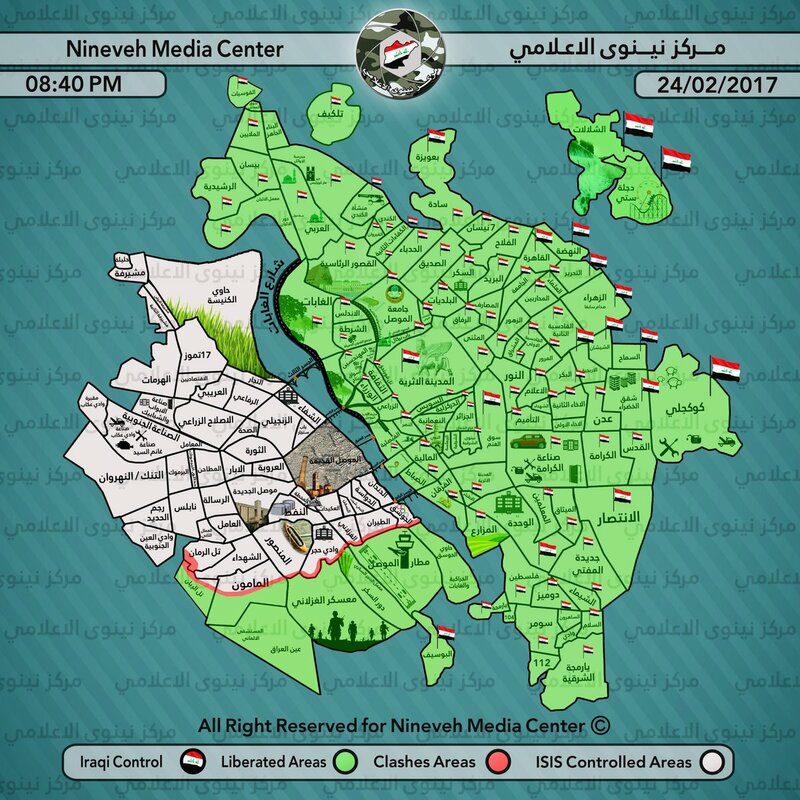 Last report related to Mosul is also the most unconfirmed one, apparently a dozen of IS fighters have surrendered themselves to the army in the Mosul airport area, it is not improbable that this event took place, although it is a bit weird that IS would get demoralized so fast as the army is still yet to reach the city proper. Somewhat potentially big development happened today, how big will depend on the occurrence of the same events in the future. Iraqi air force carried out airstrikes against IS in Deir al-Zour governorate, in Abu Kamal to be precise. Air strikes were allegedly done in cooperation and with full permission from the Syrian MOD. Reason provided for the air strikes is that recent suicide attacks in Baghdad originated from Abu Kamal region. More interesting is the statement released by Iraqi Joint Operations which stated that Iraqi air force will continue targeting IS wherever they are. On the 23rd of February 2017 CJTF-OIR has conducted 24 strikes in Syria. CJTF-OIR‘s main focus in Syria at the moment is still Raqqa where they did 10 strikes supporting SDF‘s operation against IS destroying three pump jacks, a command-and-control node, a fighting position and a tactical vehicle..
Other areas where strikes occurred include Abu Kamal, Deir al-Zour and Shaddadi destroying four oil refinement stills & a vehicle,seven oil separation tanks, and oil wellhead, an oil tanker truck & an oil inlet manifold and four fighting positions & an IS headquarters, respectively. Strikes also occurred on Bab, Tanf, Palmyra and Tamakh. Full report on CJTF-OIR strikes conducted in both Syria & Iraq can be found here. For those of you interested, you can follow me on my personal, biased twitter @joskobaric where I occasionally tweet some things.